Technology changes at a rapid rate. It’s important for successful businesses to stay up-to-date with new technology. The site eWeek reports that a study done by Techaisle, an analyst and market research foundation, found companies that hold on to their computers for longer than three years, end up spending between $326 to $401 on maintenance of those computers with an extended warranty. For those companies without a warranty that figure jumps up to about $526 for repaired and upgraded computers. They also found that computers malfunction more often after a period of three years, and they suggest replacing them for the most efficient and cost saving measures. A staggering figure of 355.2 million computers were sold globally in 2011. In 2010, the number was a bit lower at 346.2 million computers that were sold around the world. 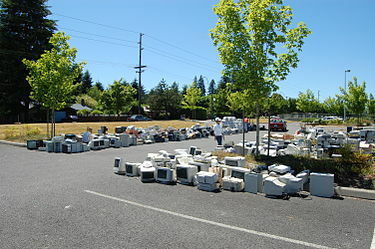 That means, about every three to five years a large number of those computers are being tossed out, in one way or another.